Evergreen, delicate leaves artistically wrapped around weathered Morocco red bricks always cunningly lure in my inner architect from my past life. I blame my mindless plodding around New York's gloomy, graffiti-abused buildings and the synonymous black trash-bags that pepper their "frontyard". So when I commenced my weekend trip to the Metropolitan Museum of Art for their Jewels by Jar exhibit (Shoutout to you, artistes out there), I was subconsciously magnetized towards the pristine gates sprinkled in morning dew shielding a possible socialite's home. It was definitely an Invasion of the Bodysnatchers moment since I don't normally find myself getting googly-eyed in sheer envy over some bricks with a smattering of greenery.Weird, don't you think? Despite the DSLR-toting tourists that eccentrically sneered at my arbitary photo montage, I tried to step up my fashion game to channel my inner Rumi Neely or Carolina Engman (whichever style you fashion aficionados nod in awe to). Included were a few worrisome wobbles and bumbles here and there (try saying that 3 times!) while ungracefully struggling to execute a cool-girl pose against the weakly built fence. I'm surprised there wasn't a blurry action shot of me dramatically plunging down to a mouthful of cement. Definitely one of my biggest fears to date. If any of you aesthetically-obsessive Leonardo da Vinci die-hards want a spontaneous pick-me-up definitely drop by Jewels by Jar. Sorry for you Instagramers out there, my iPhone was definitely missin out on all the luxe, handcrafted gems that blinded my eyes in the dark-lit cube room. (No photography, allowed!) The area was definitely feeling as congested as my nose due to these darn spring allergies and there were lines of museum-goers. Conversations ranged from the A: fluttering butterfly beaus speckled in microscopic Swarovski crystals with intense wattage when it came to their luminosity to B: a pair of avant-garde earrings with actual beetle-wings! Definitely a double-take and a "Say whaaat?" moment after skimming through the pieces descriptions on the tactile-dense pamphlet. What museum did you last visit? Your M.K bag beautiful ! I love this color ! Awesome outfit Kelly you look great . Very nice creative look and I love your bag! The last Museum I visited was the MOMA! Very nice sweater Kelly! I love your look, and your manicure! Nice accessories and you have a great style. 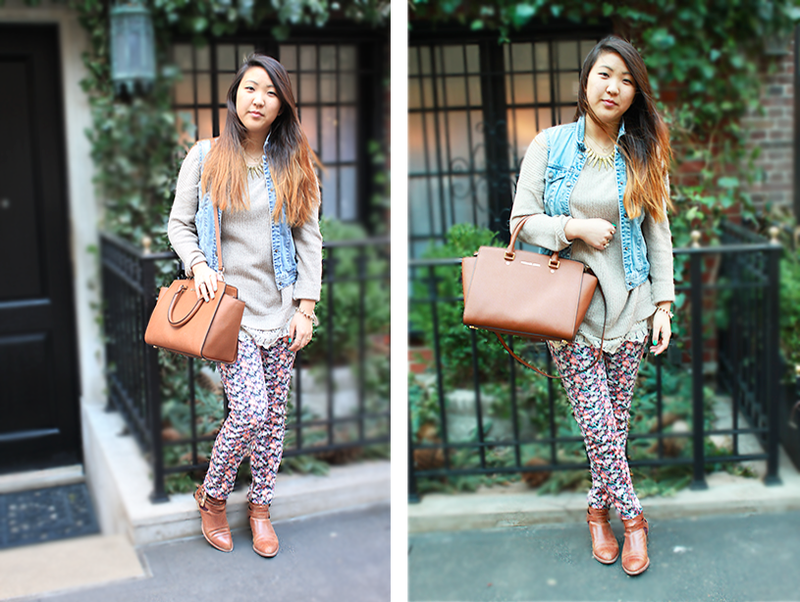 I love this look, gorgeous floral pants! The last museum I visited was the Walker Art Gallery in Liverpool, UK. If you ever visit Liverpool I would recommend it! 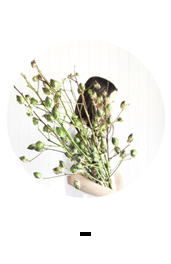 I love your blog and I have followed you with Bloglovin. If you ever get a chance to look at my blog I would be delighted. Thanks! Thankyou for the kind words on my blog! 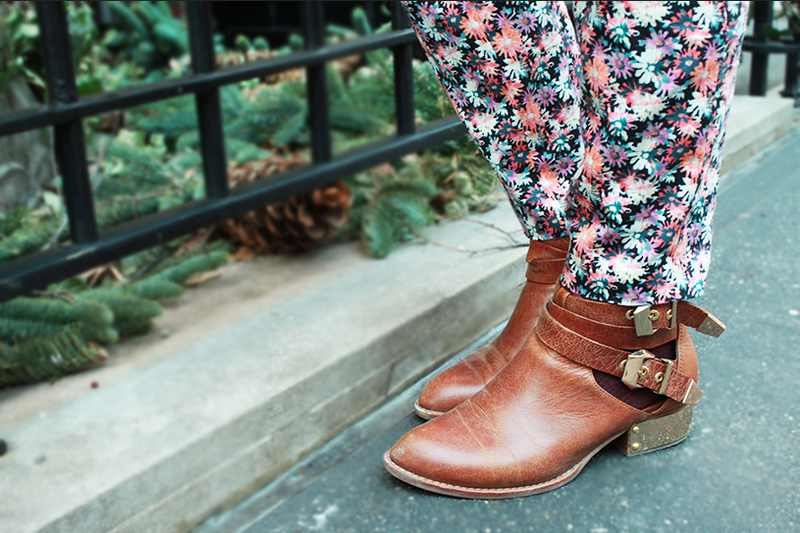 Loving the florals! Stylish post - love it! Hi..thank for ur comment on my blog.. I already folloeing you..now is u turn sweetie..
a wonderful look! i have the same bag and love it! Great look dear!!! Love it! The touch of lace peeking out, flawless. Love this look, the rings are to die for! You look great! Love love loveee this outfit! I really want to copy it! Kelly, I do really love your blog; worth reading content, great pics, and beautiful layout! Last museum I visited was Qatar Isalamic Art Musuem; definitely open up my world. What about next one? Do you have any plan in mind? I am following you now. Keep in touch! El bolso es maravilloso!!!! Me encanta!!!! Hi Kelly thanks for your lovely comment over on my blog - You are such a sweetie. I've been having a good look though your blog and love it! Following you now. I've been seeing so many cute Michael Kors bags, and now I really want one...I've always been a Dooney & Bourke girl! Fantastic photos and of course I am following back! :-) My last museum was a science museum in Raleigh, NC- lol! I love your outfit! I following you on bloglovin' and GFC! following each other sounds great. 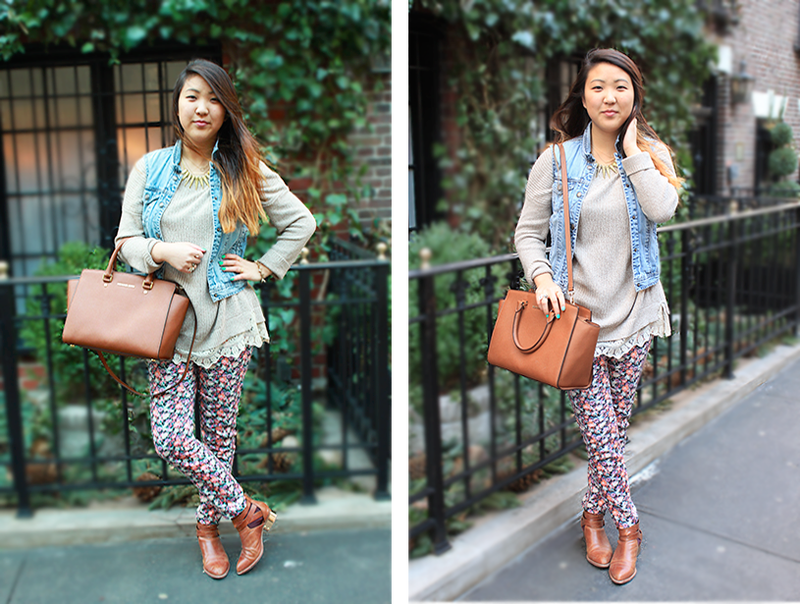 i'm following you now via GFC and bloglovin and i hope you will follow me back! The last museum I visited was an open-air museum for farmhouses and I liked it :) What I also like are your super cute pants! Wonderful outfit dressing! I adore your boots and bags,,,! Love everything about this look. I just found your blog! gorgeous nail colour, i love all these pieces together - so so pretty ! 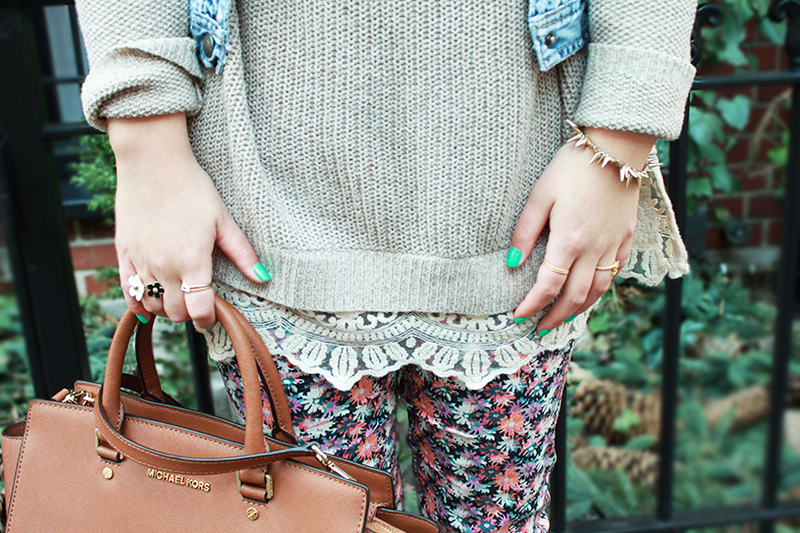 Lovely outfit, I love the lace datail and the MK bag of course! I haven't been to a museum in ages and that means I need to asap!!! Love that Michael Kors satchel. So timeless and classic! Fantastic and stylish look, love the print. Let me know if you would like to follow each other. Damn! You look amazing!! Are you a model? I'm serious! You're gorgeous! Lovely look! The colors are great and your pants are beautiful! Have a great weekend! 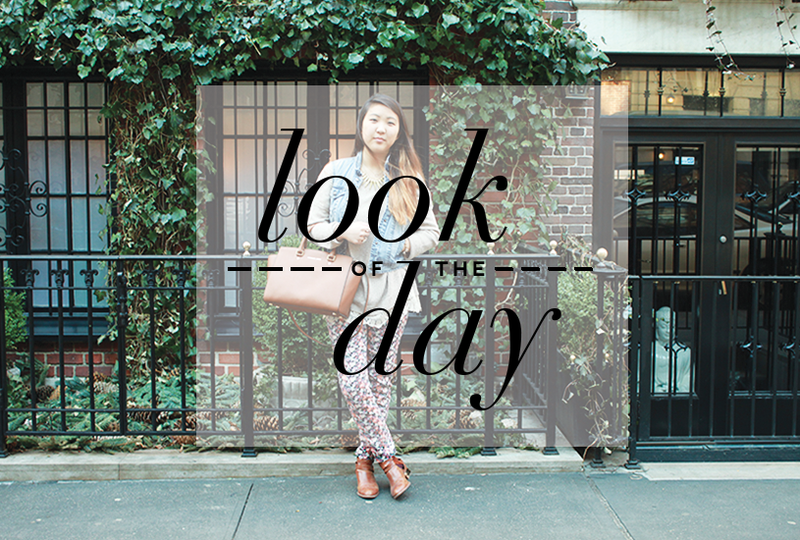 Love the whole ensemble, Such a great look for a day out! i went to a local museum last year :) loved MOMA and the MET when I visited NYC a couple of years back. gorgeous look!! 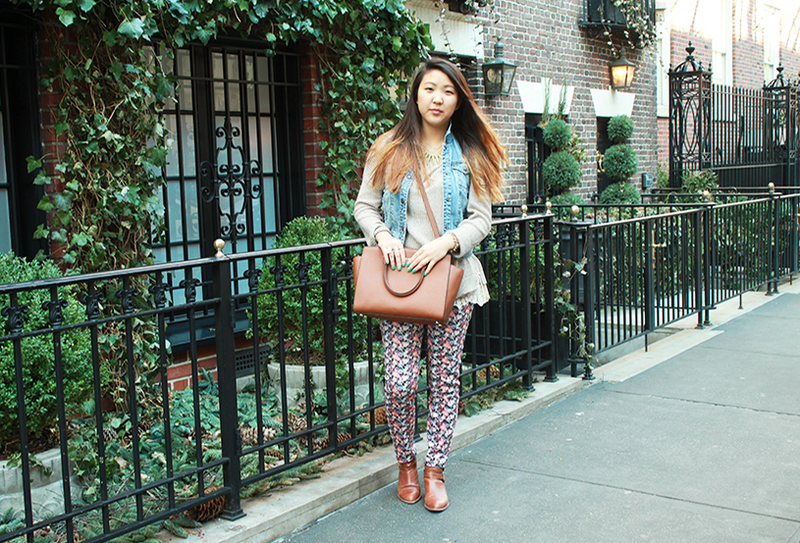 Love your trousers and bag! Amazing outfit!! 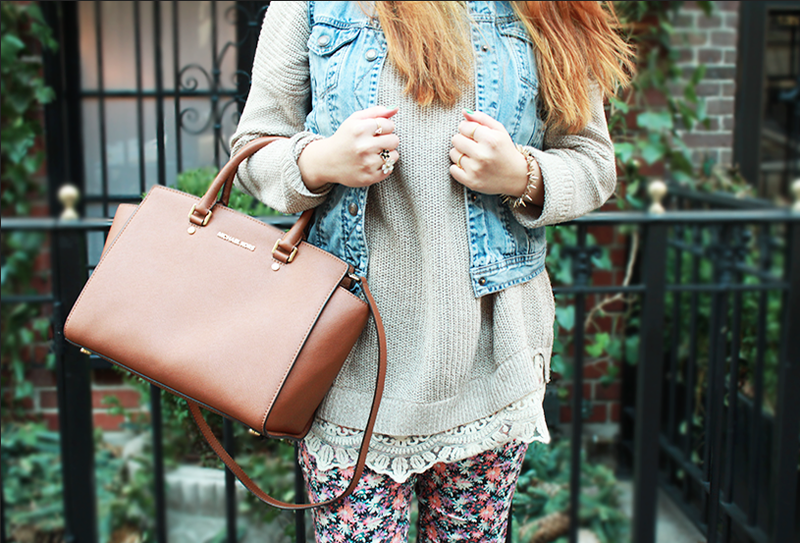 I totally envy you for owning this bag :P I love the floral look!! Really springy and awesome!! I just started following you!! Keep in touch!! Oh gosh! I love your Micheal Kors bag, a few of my friends actually have the same one. It's so popular! Only cause it's so stunning! Anyway, lovely post, amazing blog! Thanks for commenting on my blog! Returning the support as always! You look so pretty! Love the bag! yes good admin blogs comment thanks ;) yeah baby <3 Good World chat sites no many sites big chat work en büyük siteler burada sizleride aramizda görmekten mutluluk duyariz. Chat sohbet yapmanin farkni bizde yaşayin ve hiç bir ücret ödemeden yeni çevre ve arkadaşlarla tanişma firsati yakalayin şimdiden sizlere güzel günler diler ve güzel seviyeli arkadaşlik sohbet chat çetler dileriz.Her türlü sohbet yapmak sitemizde ücretsizdir Arayişa göre herşey bizde buyrun.